HAMILTON COUNTY, OHIO – This past winter was relatively mild. While we may appreciate the milder weather, so, too do insects — mosquitoes in particular. The interns will be charged with trapping and identifying mosquitoes, so as to move quickly to help prevent disease. West Nile Virus has been firmly entrenched in Southwest Ohio for several years. The virus is spread by mosquitoes of the Culex genus, which is common in the area. “With some continuing uncertainty surrounding Zika Virus and its sources of transmission, we determined that preparedness is the best course of activity,” Ingram added. Zika is spread primarily through mosquitoes of the Aedes genus. While some members of this genus are found in Southwest Ohio, the mosquito responsible for Zika has not been found here. In addition to dedicated personnel, Hamilton County Public Health invested in efficient traps and species identification tools. 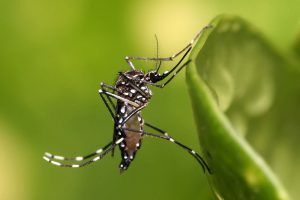 Trapped mosquitoes are able to be identified locally before being sent to the Ohio Department of Health laboratory for virus discovery and identification. Hamilton County Public Health will continue to work closely with communities in the areas it serves. Public health sanitarians can respond to complaints; apply larvicide to potential mosquito breeding areas; work with homeowners to manage home sewage treatment systems to minimize breeding opportunities; refer community maintenance personnel to the Ohio Department of Agriculture for training in pesticide application; and continue to provide education. For more information on mosquito control and mosquito-borne illness, visit www.hcph.org. In addition, there are several informational videos available on the Hamilton County Public Health YouTube channel.